Barcelona, for instance, recently passed a law that looks to curb the number of visitors to the city in the next few years. The legislation prevents property developers from building new hotels and prohibits the issuing of licenses for tourist apartments. Government officials hope that the lack of accommodations will reduce the number of annual visitors to the Spanish metropolis. Meanwhile, lawmakers in Venice recently decreed that no new take-out restaurants can open up in the city of canals. 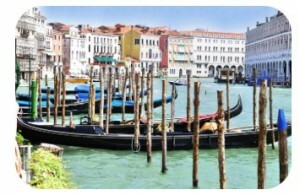 Officials say that eateries like pizza joints or kebab shops spoil Venice’s beauty and insult its cultural heritage. The Italian city is even considering a ban on cruise ships that bring in more than 30,000 tourists per day. Proposed laws like these mark a sharp turnaround from how these cities promoted themselves in the past. Barcelona spent more than 25 years relentlessly marketing its seaside vistas and beautiful architecture to potential tourists. But the city eventually became a victim of its own success. Now more than 32 million visitors pour in each year and disrupt life for the area’s 1.6 million Barcelonans. In fact, a recent survey found that residents considered tourism to be the city’s biggest problem after unemployment. Of course, the tourism industries in both Barcelona and Venice say that locals are ignoring the economic benefits that visitors bring. Many long suffering residents do not care, though, and simply want their cities to focus on citizens again, not tourists. Why are some residents of Barcelona and Venice fed up with tourists? How can anti-tourist legislation harm business owners? Sources: Stephen Burgen, “Barcelona Cracks Down on Tourist Numbers With Accommodation Law,” The Guardian, January 27, 2017; Alanna Petroff and Valentina Di Donato, “Venice Bans Cheap Takeout Joints to Keep City Beautiful,” CNN Money, May 10, 2017; Cecilia Rodriguez, “Venice Is Fed Up With Cruise Ships And Angry Protesters Are Blocking Them,” Forbes, September 29, 2016.